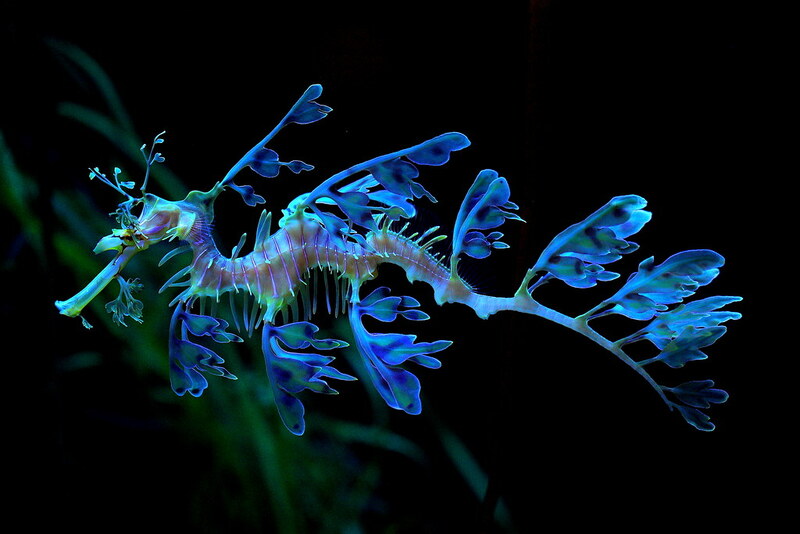 The Leafy Sea Dragon or Glauert’s Seadragon (Phycodurus eques), is a marine fish in the family Syngnathidae. The family also includes Sea Dragons, Pipefish and Seahorses. It is the only member of the genus Phycodurus. It is found along the southern and western coasts of Australia. The name is derived from the appearance, with long leaf-like protrusions coming from all over the body. These protrusions are not used for propulsion; they serve only as camouflage. The leafy seadragon propels itself by means of a pectoral fin on the ridge of its neck and a dorsal fin on its back closer to the tail end. These small fins are almost completely transparent and difficult to see as they undulate minutely to move the creature sedately through the water, completing the illusion of floating seaweed. Goose barnacles, also called stalked barnacles or gooseneck barnacles, are filter-feeding crustaceans that live attached to hard surfaces of rocks and flotsam in the ocean inter-tidal zone. Wikipedia. (pterophyllum-scalare) Pterophyllum scalare, most commonly referred to as angelfish or freshwater angelfish, is the most common species of Pterophyllum kept in captivity. It is native to the Amazon Basin in Peru, Colombia, and Brazil. Wikipedia. Plecostomus (pleco) | freshwater aquarium fish. 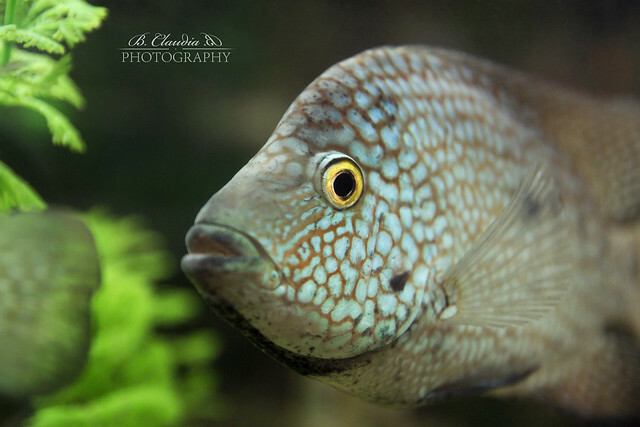 This cichlid, also known as the gold saum, is a colorful freshwater fish in the cichlid family. The fish originates from the Pacific side of South America from the Tumbes River in Peru to the Esmeraldas River in Ecuador. Wikipedia. profile | the fighting fish. 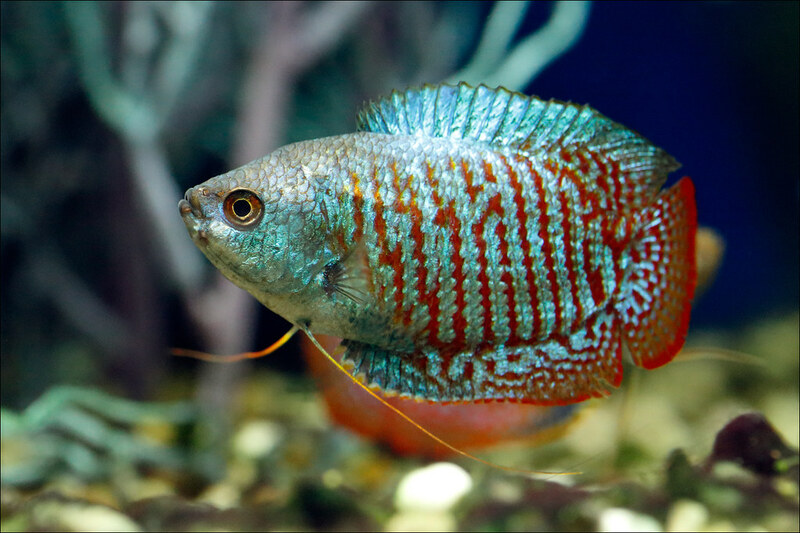 One of the biggest challenges we all face, while maintaining a freshwater aquarium, is the risk of disease. Sometimes, it can be so overwhelming and other times, a real heart breaker. Fortunately for us, many of them can be seen on the fish in their beginning stages of development. Sometimes, they are hidden from site. The better your relationship with them, the greater chance you will see the changes in your fish. This chart provides a basic over view. Further details are readily available on-line and or at your local fish retailer. Always try to stay away from too many chemical additives in your tank. Tags: chart, fish disease, freshwater, Waterlife Research Ind.